Many of us achieve insight into the expansive drug scene from blockbuster movies such as The Hangover, in which the main characters are given flunitrazepam (rohypnol or roofies) and cannot remember what happened the night before. 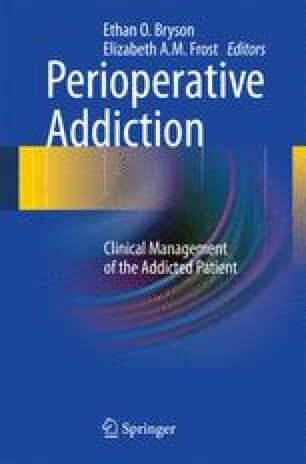 Despite the ubiquitous nature of these drugs in popular culture, a survey of attending physicians within our department of anesthesia revealed a complete lack of knowledge of modern illicit drugs. Ecstasy (MDMA: 3,4 methylenedioxymethamphetamine), rohypnol, gamma hydroxybutyrate (GHB), and a host of other designer drugs are now a part of the adolescent social scene and the modern perioperative health-care provider must know more than just the difference between crack (the free base form of cocaine that can be smoked) and powder cocaine. The impending legalization of marijuana and the appearance of the synthetic herbal marijuana replacement known as K2 Spice (JWH-018) have left the perioperative health-care provider in a position of speculation as it concerns the real dangers of these drugs commonly used by adolescents. To underscore the dilemma, no senior member of our department knew that Spice caused “couch lock” or the inability to move, persistent body numbness, severe lung irritation, hypertension, severe and persistent headaches, blacking out, blurred vision, and extreme anxiety. Special acknowledgment: The authors of this chapter wish to thankfully acknowledge the assistance of Dr. Jonathan H. Gardes, Department of Anesthesiology, Montefiore Medical Center’s, Bronx, NY, USA, for his help in preliminary discussions about the aim and scope of this chapter. Inciardi JA, Surratt HL, Cicero TJ, Rosenblum A, et al. Prescription drugs purchased through the internet: Who are the end users? Drug Alcohol Depend. 2010. doi: 10.1016/j.drugalcdep.2010.015. Public Views Clash with U.S. Policy on Cuba, immigration, and drugs. Zogby International. http://www.zogby.com/news/readnews.cfm?ID=1568 (2008). Accessed 10 May 2010.